The Dairy Companies Association of New Zealand (DCANZ) has joined with national dairy organisations from Australia and the United States in appealing for their governments to progress a swift but successful conclusion to the TPP negotiations. “We have a historic opportunity to remove distortions from the dairy market in the Asia-Pacific region. Our governments must grab hold of this.” Said DCANZ Chairman Malcolm Bailey. “TPP outcomes must be ambitious, comprehensive and commercially meaningful for dairy along with other products. We understand that progress is being made in the negotiations but that it still falls short of the level of ambition needed. . .
Drought and the ratio of sheep to cattle farmed are the two factors with the biggest impact on sheep and beef farmers’ incomes this season. Beef + Lamb New Zealand (B+LNZ) today released its mid-season update. Six months ago, the organisation’s new season outlook predicted the average farm profit before tax would be around $110,800 for 2014-15. However, B+LNZ Economic Service Chief Economist Andrew Burtt says those predictions were based on the assumption that climatic conditions would be normal – and this season has proved to be far from normal in many areas. “While the average farm profit before tax has been adjusted slightly downwards, to $109,400, North Island profits are expected to increase 19 per cent, to $117,100, while South Island profits are predicted to decrease 20 per cent, to $100,200. The difference can be accounted for by the ratio of sheep to cattle farmed in each island, with cattle making up greater numbers in the north. .
Tuesday saw the launch of Meat Industry Excellence’s report Red Meat Sector – Pathways to Long Term Sustainability to a relatively small group of invited attendees in Wellington. The audience consisted of MIE farmer members, directors of Silver Fern Farms and AFFCO, MIA chairman Bill Falconer, ANZCO CEO Mark Clarkson, Rick Powdrell Federated Farmers’ Meat and Fibre chair, various industry analysts and commentators, and politicians including the Minister for Primary Industries, Shadow Spokesman and the Speaker. Rod Oram was the MC with addresses from Alasdair Macleod, leader of the Red Meat Sector Strategy development four years ago, Ross Hyland, principal advisor to MIE, James Parsons, chairman of B+LNZ and MIE chairman John McCarthy. Ross Hyland gave the most interesting talk, both stimulating and entertaining supported by several overheads to illustrate his key points. Fortunately he did not attempt to summarise the report, but focused on some key points which painted the picture of an industry suffering from declining profitability and livestock numbers. . .
Meat company reaction to a newly released report on restructuring the industry has been muted so far. The study comes from the farmer-led Meat Industry Excellence group, which is pushing for a major revamp of the industry to improve its profitability and lift falling returns to farmers. It advocates a fresh attempt being made to merge the two big co-operatives, Silver Fern Farms and the Alliance Group, and getting the two other big privately-owned companies, ANZCO and AFFCO, to agree to rationalisation measures as well. Associate Minister for Primary Industries Jo Goodhew marked United Nations International Day of Forests at the Methven A&P show today, by planting a maple tree with industry representatives. 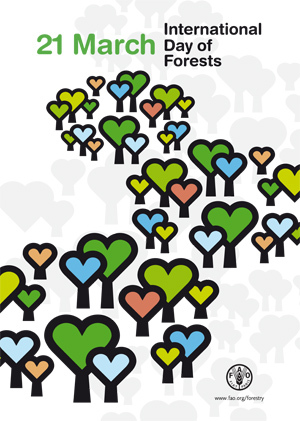 Our forests cover one third of New Zealand, and remain our third largest export earner. “Leading into the 2020s, there is the potential for a 40 per cent increase in log production. A challenge to industry is to move wood products out of the commodity basket and up the value chain,” Mrs Goodhew says. . .
Forests and trees sustain and protect us in invaluable ways. They provide the clean air that we breathe and the water that we drink. They host and safeguard the planet’s biodiversity and act as our natural defence against climate change. Life on earth is made possible and sustainable thanks to forests and trees. . .
On the final day of voting, grower turnout for the Kiwifruit Industry Strategy Project (KISP) referendum has surpassed all expectations and is on track to be the largest voter turnout in the horticulture sector for almost two decades. “With voter turnout by both production volume and grower numbers already exceeding 50% we are confident that this referendum turnout will be the most significant the entire horticulture industry has seen since the late 1990s,” says Mr Richardson. 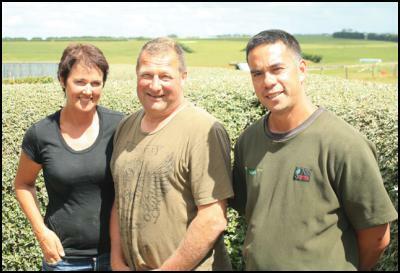 . .
Eltham dairy farmers Mark and Jacqui Muller and their manager Conrad Maeke are the Supreme Winners of the 2015 Taranaki Ballance Farm Environment Awards (BFEA). They received the award at a BFEA ceremony on March 19. Mark, Jacqui and Conrad also collected the LIC Dairy Farm Award, Hill Laboratories Harvest Award, Massey University Innovation Award and the PGG Wrightson Land and Life Award. The Muller’s business, Gardiner Partnership, is based on 212ha of family land west of Eltham in the Mangatoki district. The operation milks up to 618 cows on a 167ha milking platform, achieving production well ahead of the district average. . .
Former corporate high-flyer John Morawski has found that cheese and beer make a winning combination. The brewer turned cheese maker decided to make use of a discarded cheese-making kit he bought his fiancé. Less than three years later he has won the Curds & Whey Champion Home Crafted Cheese Award at the 2015 NZ Champions of Cheese Awards. The Home Crafted category gives “hobbyist” cheese makers a chance to showcase their creations. To be eligible, cheese must not be made for retail distribution and the annual volume cannot exceed 100kgs. . . The fifth ANZ Young Farmer Contest Grand Finalist will be determined next weekend, Saturday 28 March at the Taranaki/Manawatu Regional Final held in Palmerston North. “This contest season is shaping up to be very exciting, every year the calibre of contestants continues to improve and impress,” says Terry Copeland, Chief Executive of New Zealand Young Farmers – organisers of the event. A team of scientists has discovered threats to the manuka honey industry. Manuka honey fetches a premium price overseas because it contains special bioactive compounds. But research that is yet to be published by a consortium of universities and Crown research institutes has discovered those properties can be faked by adding chemicals to normal honey, such as regular clover or low grade manuka honey. . . If the Ruataniwha Water Storage Scheme does get the go-ahead then it could have a significant impact on the way of life in parts of Hawke’s Bay. The scheme’s advocates say more irrigation will allow for more intensive farming – which could have a huge impact on the region’s economy. The proposed $660 million scheme will store 90 million cubic metres of water and take about three to four years to build. With the social impacts of the dam in mind, a Socio-Economic Working Party has been established to help prepare the community for the changes the dam could bring. . .
Commercial lawyer and former ACT Party MP Stephen Franks has joined the Meat Industry Excellence (MIE) group in an advisory role. Franks had a background in advising on major agri-business issues, as well as having his own farming interests, MIE chairman Richard Young said. He is the second appointment for the group, following that of agri-businessman Ross Hyland, who will oversee the setting up of an establishment group to work on meat-industry restructuring. . .
Cosmo Kentish-Barnes, armed with microphone and recording device, visited Robyn and I recently. 21:29 Robert and Robyn Guyton have planted a ‘Food Forest’ around their house in Riverton, Southland so no lawns need to be mowed and in season, the forest is dripping with organic fruit and nuts. . . Beef + Lamb New Zealand and New Zealand Young Farmers are calling for applications for a unique agricultural scholarship. Beef + Lamb New Zealand each year offer one New Zealand Young Farmer member the opportunity to receive the Five Nations Beef Alliance (FNBA) Young Ranchers Scholarship and foot it with other young ranchers from Australia, Canada, Mexico and the United States at their annual conference. “It’s a chance to gain valuable international connections to benefit New Zealand beef farming which is the driver for B+LNZ’s support and investment,” said Diane Falconer on the organisation’s behalf. . .
Wolf Blass takes out prestigious ‘International Red Winemaker of the Year’ award at the International Wine Challenge. Wolf Blass has been awarded the title of ‘International Red Winemaker of the Year’ at last night’s International Wine Challenge in London. This is the second time that Wolf Blass has been awarded this accolade, the first was in 2008. The International Wine Challenge (IWC) is recognised as the world’s finest, most meticulously judged and most influential wine competition in the world. . . The Meat Industry Excellence (MIE) group has appointed businessman and former sheep and beef farmer Ross Hyland to set up an establishment team, as it ramps up its campaign to achieve a restructure of the red meat sector. After a series of meetings round the country at which it gained plenty of farmer support for its campaign, as well as backing from Beef & Lamb NZ and Federated Farmers, MIE has decided that it is now time to inject some muscle and structure into its plans. Chairman Richard Young said last week they had made this decision to ensure that they have an agreed solution and plan ready for the start of next season. . . The Ministry for Primary Industries says South Island farmers are coping with recent heavy snowfall. Snow has finally stopped falling in the most affected parts of the South Island hill and high country, says Trish Burborough, MPI’s Resource Policy South Island Regions manager (based in Dunedin). She says the worst-affected areas are parts of Otago, Canterbury and Marlborough, especially in the high country above 400 metres. “Rural communities are helping each other in practical ways, such as helping stock gain access to feed and water. “MPI has been working with the Rural Support Trusts (RSTs) and Federated Farmers to coordinate the response. . . The farming sector has shaken off its drought jitters, with economic confidence soaring in most rural regions, the latest Westpac McDermott Miller survey shows. The national figures show confidence rose to 25 per cent by the end of the June quarter, up from 5 per cent at the end of March. That was predominantly driven by a swing in rural sentiment. Senior Westpac economist Felix Delbrucker said a generally improving global outlook and the Canterbury rebuild were certainly tailwinds, but the clincher was higher dairy prices offsetting the impact of the drought in the first part of the year. . .
Three and a half weeks in Turkey, most of the time outside Istanbul, have provided many revelations about the people, the country and not least about its agricultural production. Turkey, or to be more precise its government, wants to join the EU, although after the last couple of years of economic struggles and Eurozone problems, it isn’t clear why. Turkey has enjoyed higher growth in the past decade than any EU member with only one year of contraction. Agriculture represents 25% of employment across an unmatched product base, although the sector is not very efficient with many small farmers and relatively unsophisticated farming methods. Subsidies are still in place, but are in the process of being reduced as part of the process of meeting the EU’s accession criteria. . . . Eight competitors from the Young Horticulturist of the Year met recently for a Young Leaders’ Forum. The Auckland forum was established to provide an opportunity for the Young Horticulturists to develop their understanding of the industry and round out their knowledge beyond their sector specialty. The two days featured presentations from sponsors Bayer, Fruitfed Supplies, Turners and Growers, ANZ and NZ Horticulture ITO. Presentation topics were selected to meet the forum’s theme of equipping future leaders for the challenges and aspirations of a sustainable and vibrant horticultural industry. . .
worked at the Freezing Works. . .
(I used to link to each week’s Tuesday Poem and others in the side bar. I haven’t done it for ages because of time constraints, but this one, and the commentary by Tim Jones which follow it resonated with me. Three mountain climbers needed an alpine rescue last night after bearing the brunt of a snow storm – but the stranded patients weren’t your regular mountaineers. A ski patrol was part-way through a regular avalanche monitoring routine on Wanaka’s Treble Cone ski field when they spotted a little head sticking out of a snow drift. A closer inspection revealed three sheep stranded in a snow drift, still breathing and warm, but buried in the snow. Ski patrol member Luke Lennox says the surprising discovery left the team with the perfect opportunity to practice an alpine rescue. . . . (click on the link for a video). US ICONIC company McDonald’s may have dumped lambburgers – but a thriving New Zealand fast-food company plans to take on the land of beef and burgers on its home ground. After a successful drive into the Middle East, Burger Fuel, whose premium burgers are based on New Zealand beef, is strategising to enter the US, says New Zealand Trade and Enterprise chief executive Peter Chrisp. . . The role will pass to a new limited-liability company TBfree New Zealand Ltd. The Animal Health Board (AHB) will resign its role as the management agency on June 30. From July 1, 2013 TBfree New Zealand Ltd and National Animal Identification and Tracing (NAIT) Ltd will become wholly-owned subsidiaries of Operational Solutions for Primary Industries (OSPRI) New Zealand Ltd. . . THE GLOBAL business environment is evolving so quickly it’s “about running to keep up so we are not made obsolete,” Zespri chief Lain Jager says. “Two high-level strategic thoughts occupy our minds: where will our growth come from and how can we develop our advantage so we can make a margin and be profitable?” he told the Go Global export conference in Auckland. . . The National Animal Welfare Advisory Committee (NAWAC) is seeking public consultation on proposed changes to the Layer Hens Code of Welfare 2012. The most significant effect of the Code is that it requires battery cages to be phased out by 31 December 2022. This was to be managed in three transition stages. While the final phase-out date has not changed, the potential for severe price increases has highlighted the need to move each of the transition steps back by two years. The amended transition steps within the ten year period are as follows: . . .
Ross Hyland, an influential figure in both agribusiness and the commercial sector, has become Meat Industry Excellence’s (MIE) first key appointment. “Ross’s commitment and success in New Zealand agriculture is well documented,” says Richard Young, Chairman of Meat Industry Excellence. “Ross Hyland’s on-going commitment to continually improve the profitability of our primary sector will be vital as we push for a stronger and more vibrant red meat sector. . .
ADEL, Iowa — Grooming cows so they look like unusually large poodles is a well-known beautification practice in the show cattle industry. But although it may be decades old, it’s just now getting attention on the Internet. It started with a photo of a male cow named Texas Tornado who had a particularly fluffy coat. “Fluffy cow” photos are now making the rounds. The practice is meant to help sell livestock for breeding or harvesting. . .